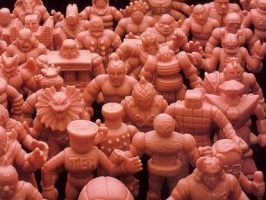 For any M.U.S.C.L.E. collector it is exciting to see a legitimately large collection. It is equally exciting to see it on eBay and, sometimes, even a bit surprising. 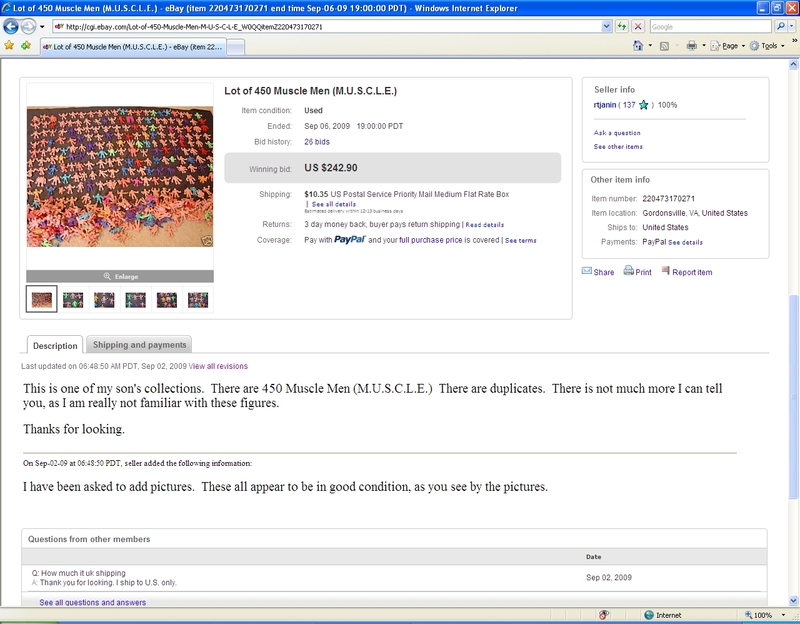 This auction is a “Lot of 450 Muscle Men (M.U.S.C.L.E. )” and makes the most detrimental mistake for an auction of hundreds of M.U.S.C.L.E. figures – terrible pictures. This is one of my son’s collections. 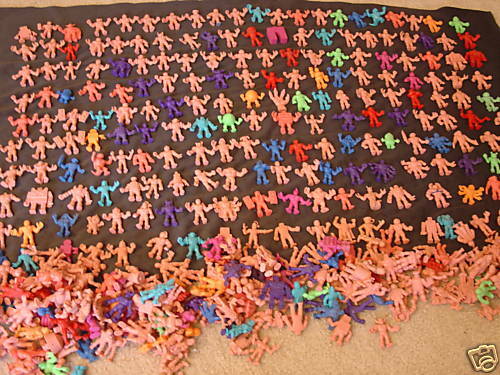 There are 450 Muscle Men (M.U.S.C.L.E.) There are duplicates. There is not much more I can tell you, as I am really not familiar with these figures. I have been asked to add pictures. These all appear to be in good condition, as you see by the pictures. 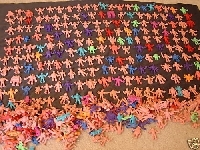 Unfortunately, the added pictures only show approximately 35 of the 450 figures. While this lot will likely sell for a decent price, the chance of the lot selling for an impressive dollar amount has been significantly impacted. 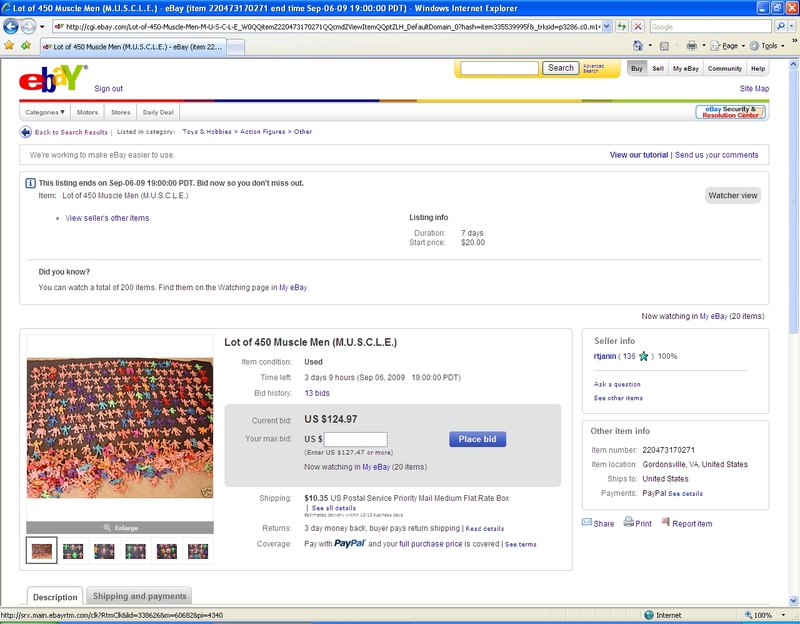 Follow-Up: The 450 figures sold for $242.90 ($0.54 per figure). 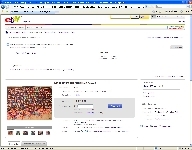 This entry was posted on Thursday, September 3rd, 2009 and is filed under Auction Watch. You can follow any responses to this entry through RSS 2.0. You can skip to the end and leave a response. Pinging is currently not allowed.